Do you know where to find the best Caesar Salad in Cebu? It is actually at the Coffeebean and Tea Leaf. Yes, in a coffee shop. For serious salad eaters, Ceasar Salad is of course not lettuce and carrots dipped in a mayonaise and ketchup dressing. Oh God, that is just so horribly wrong. Caesar Salad is romaine lettuce and croutons tossed in a briny and fishy dressing topped with boiled eggs and parmesan cheese. The secret is in the dressing. The saltiness and smell of the sea encapsulated by the anchovies are tempered by the tart of the mustard and the aroma of crushed garlic incorporated in a raw egg yolk sauce. CBTL’s Classic Caesar Salad seized those flavors in their special dressing to top their garden-fresh greens and parmesan cheese shavings. So good and filling that I had this for dinner several times. 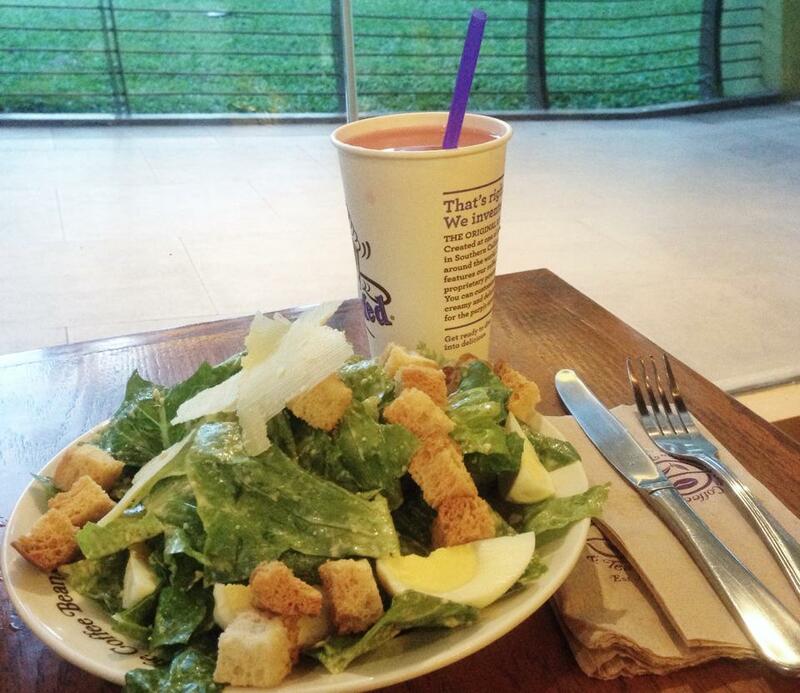 CBTL’s Classic Caesar Salad is definitely a 10/10. It is best paired with iced CBTL Pink Guava Juice.